Scooter Software is an independent, privately-held software company in Madison, Wisconsin. We develop and market Beyond Compare, a file and folder comparison utility for Windows, Mac OS X and Linux. Beyond Compare has a million current users, all around the world, from individual developers to Fortune 500 personnel. 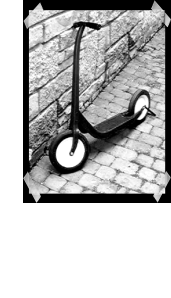 Scooter Software is a small company with no aspirations to be a large company. We aim to provide a useful and affordable tool, and to do right by our customers and employees. This has always been more important than growth and profit. That said, we've been profitable too, year after year for over two decades. Deep in Silicon Pasture, Madison is often listed among the best places to live in the USA. It's the capital of Wisconsin and home to the UW/Madison campus. For a peek into Madison culture, check out The Daily Page.